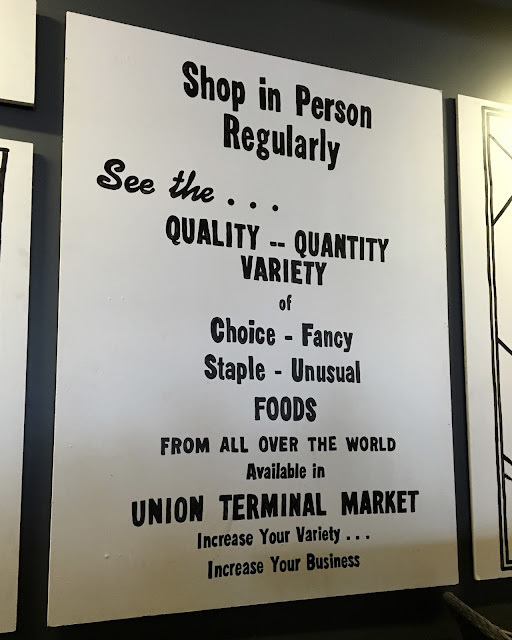 The Gluten & Dairy-Free Review Blog: Gluten-Free Options at Union Market in Washington, D.C.
What's really cool about Union Market is that it has rich historical roods in the city. Opening in 1871 as Centre Market, it relocated to its present location and was renamed as Union Terminal Market in 1931. In the decades since, the market has moved indoors (1962), and has expanded to surrounding blocks to not only encompass the Market (which I visited), but offer space to business to produce and distribute their wares. Altogether, the market district is home to over 100 business who employ over 1,500 people. On the Saturday morning I visited, the market was really up and running around 10am. While a few stands were open before hand, foot traffic really picked up as the morning wore on. Arepa Zone: all areas are 100% gluten-free. Vegan and vegetarian options are available (click here for full review). Neopol Savory Smokery: sandwiches can be made on gluten-free bread from Goldilocks Gluten Free. Also stocked products from Pure Chocolate by Jinji. Soup Up: seasonally inspired soups made without dairy, oil, butter, or salt. Gluten-free, vegan, and vegetarian options. With easy access via the red line Metro (at the NoMa-Gallaudet stop), definitely incorporate a trip to Union Market into your DC Itinerary. Locals and tourists alike definitely should no pass this gem of a market up, and I totally count it as a best kept secret in the area. Union market's address is 1309 5th Street NE, Washington D.C. 20002. Their website features a directory off all market vendors and additional information. Tuesday-Friday, their hours are 11am-8p, on weekends they are 8am-8pm. Union Market is closed on Mondays.